Today, around 1000 square feet silk rugs send to Middle East customer. This customer knows about us from internet. After the negotiation of dozens of emails, the customer finally decided to place a small trial order and told us that if the market ok and he would like to cooperate with us for a long time. The customer told us that it was our professional and serious attitude that won his trust and finally decided to cooperate with us. So nice customer. 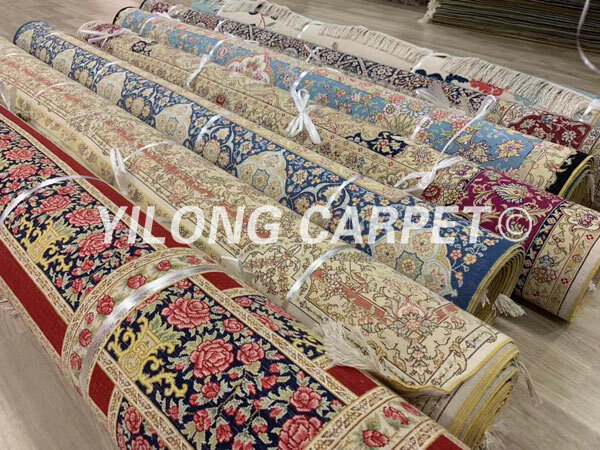 Welcome customer from all over the world to to do business with Yilong Carpet. We will serve you with good products and sincere attitude.